Jakarta, Indonesia, February 1, 2018 - The opening of favehotel Tasikmalaya marks Archipelago International (A.I. )’s seventh hotel opening in West Java, underscoring the popularity and demand for the company’s brands. Approximately 30 minutes from Wiriadinata Airport, the brand new favehotel Tasikmalaya is positioned at the heart of Tasikmalaya’s thriving business and commercial district. 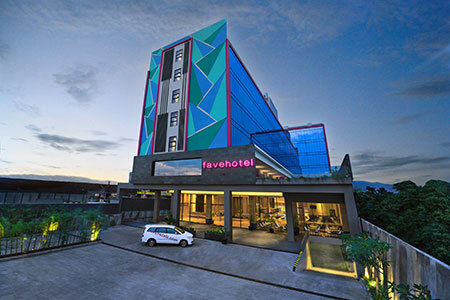 "favehotel is expanding nationwide at a rapid pace and we’re thrilled to introduce this brand to Tasikmalaya. With the opening of the hotel in Tasikmalaya, favehotel now has a presence in more than 40 cities around Indonesia and we look forward to continuing to serve our guests as we enter many new destinations in the future." said Winston Hanes, Director of Operation of Archipelago International. This select-service hotel offers 120 rooms, consisting of 76 Superior Rooms, 36 Deluxe Rooms, 4 Family Rooms and 4 Suites. Set to host meetings, exhibitions, and other corporate or social occasions, favehotel Tasikmalaya is completed by six meeting rooms and one ballroom with a capacity of up to 900 people. 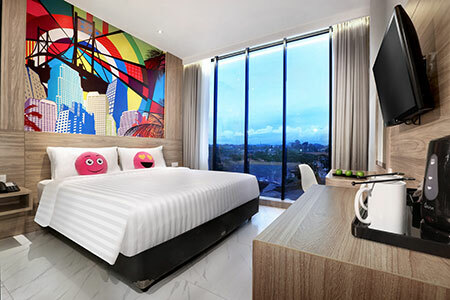 Launched in 2009, favehotel is a pioneer in the smart and budget hotel space and has grown exponentially from less than five hotels to more than 50 hotels throughout Indonesia and Malaysia. Inexpensive, fresh, attractive, contemporary and simple are the attributes that make favehotels so surprisingly different and destined to become the favorite choice for smart, budget-minded travelers. Guests can also enjoy a 10% discount by using the promotion code ‘BOOKDIRECT” on the website. Stay connected and receive special rates all year long with the Archipelago Membership mobile app. For more information, visit their website at www.archipelagointernational.com. Follow favehotel Tasikmalaya on social media, and share your precious staying moment with us by using the hashtag #favehotels.